DYXnet Hong Kong’s HR and Admin Manager Christie Pang receives the Caring Company Award on behalf of the Group. Caring Company Award was presented to DYXnet Group on March 16 at Caring Company Partnership Expo 2018 for the second consecutive year, which decorated more than 3,000 awardees and featured in excess of 100 exhibition booths. Run by the Hong Kong Council of Social Service (HKCSS), the scheme applauds organisations that develop a more cohesive society by translating a sense of corporate social responsibility into positive action. 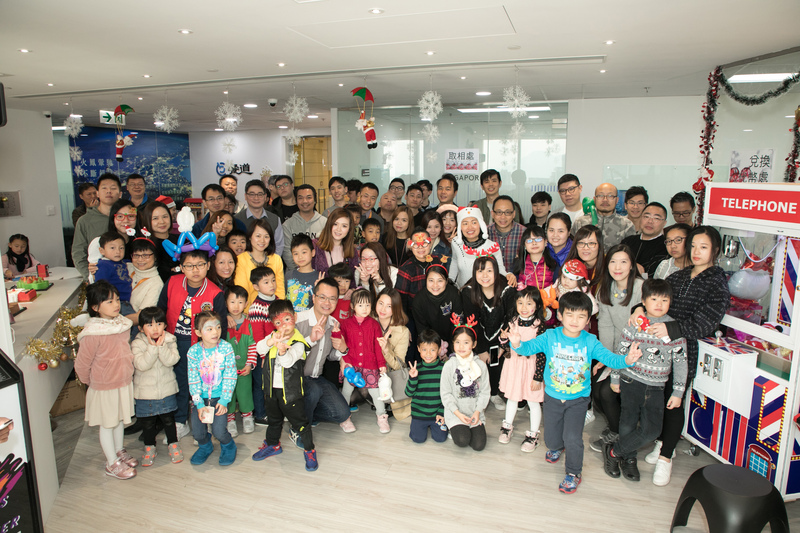 In DYXnet Group family day, we welcome our staff to invite their family members to office, building up a family-friendly work culture. 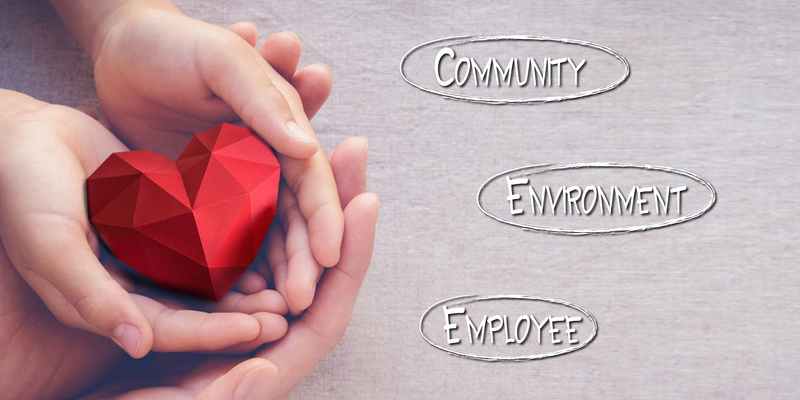 Our company was singled out for fulfilling three key criteria – caring for the community, employees and the environment – all as part of an impressive track record for serving the community, supporting charitable and environmental causes and creating a family-friendly work culture. 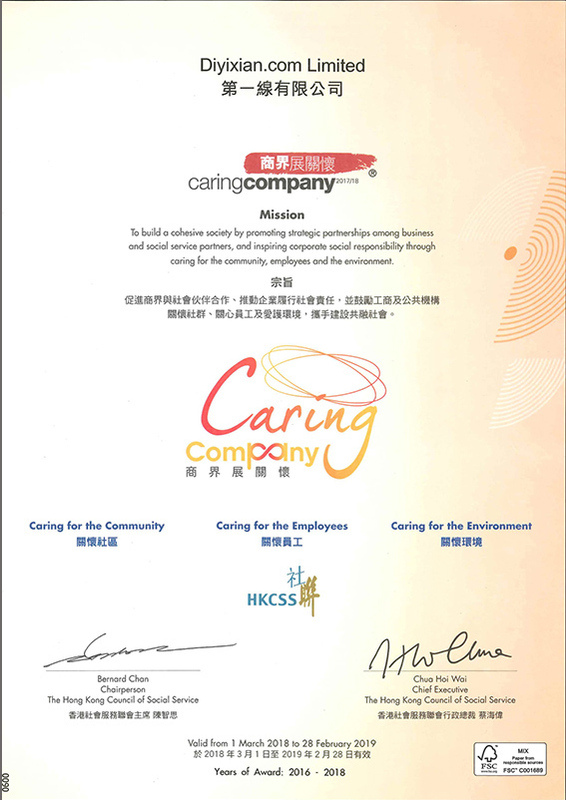 “Caring Company” status has been conferred on DYXnet Group by the Hong Kong Council of Social Service. Our winners, plus fellow runners and families, gather at DYXnet Group's booth for a photo opportunity. In 2017, DYXnet Group was title sponsor of the HOPE worldwide Great Santa Night Run, which saw a record-breaking 1,500 runners – including some 50 of our employees and their families – dressed as Santa to raise funds for underprivileged children. DYXnet’s participants in the 11km challenge. We also sponsored Compassion Revival’s “Leapers” event for the third consecutive year to raise money for the Children Sponsorship Program. Many of our employees rose to this 11km challenge to help disadvantaged youngsters. DYXnet Marketing & Corporate Communications Group Director Floria Chan (second from right) hands out fresh fish to low-income families. In addition, DYXnet Group was title sponsor of the “Family + Fish Charity Cup” Race to benefit low-income families and the elderly for the third year running. The company’s environmental efforts last year included involvement in the “Office Paper Recycle Campaign” organised by the Eco Association, as well as the “Refill! Not Recycle” Cartridge Recycling Program run by Greeners Action. 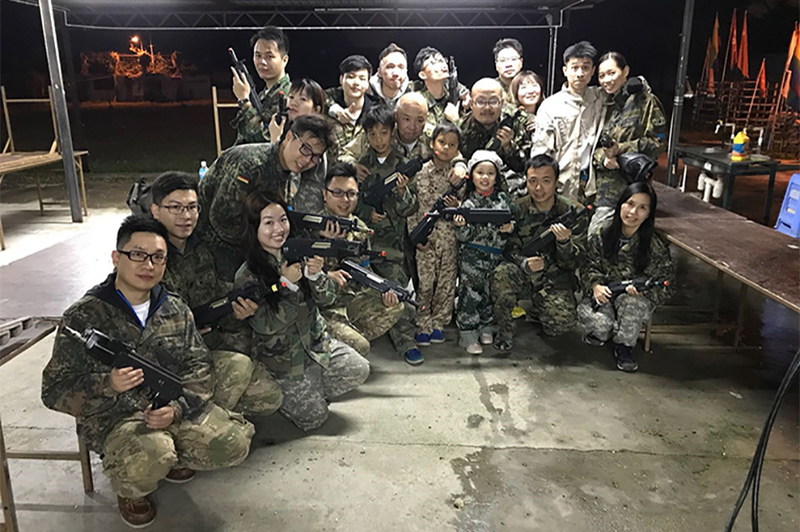 Colleagues have exciting and enjoyable moment at the war game. Meanwhile, efforts to maintain a family-friendly workplace featured monthly “Happy Friday” initiative in Hong Kong headquarters to encourage work-life balance, along with Social Club activities like war game, fitness sessions, cookery classes and pro-family benefits including establishment of a five-day week, introduction of compassionate and paternity leave and organisation of a family fun-day.